The Football League paired us with Burton Albion in the League Cup for a second time in seven years but tonight it is away from home and gives us our first ever game at the Pirelli Stadium. It’s one that will suit many of our fans, first of all giving us all a ground tick and secondly a rare opportunity to officially be able to stand and watch a Burnley game with Burton currently still permitted to have terraces having only played in the Championship for two seasons. This competition isn’t one we’ve thrived in over recent years. When Sean Dyche arrived as manager we’d not long since exited the competition with a 3rd round defeat at Swindon but in his first full season he took us into the 4th round with wins against York, Preston and Nottingham Forest before we were beaten by two penalties against West Ham. Since, a defeat at home to Sheffield Wednesday was followed by exits at Port Vale and Accrington, while last season we recorded our first win since 2013, easing comfortably past Blackburn at Ewood, before going out on penalties against Leeds. It’s been frustrating to see us make no progress in a competition in which we’ve four times graced the semi-finals, in 1960/61, 1968/69, 1982/83 and 2008/09 before going out to Aston Villa, Swindon, Liverpool and Tottenham. We’ve progressed to the 3rd round this season due to finishing 7th in last season’s Premier League and getting into the Europa League qualifiers, and the draw against a League One club gives us a good opportunity to reach the 4th round at least. There will be team changes from the eleven that kicked off against Bournemouth three days ago. 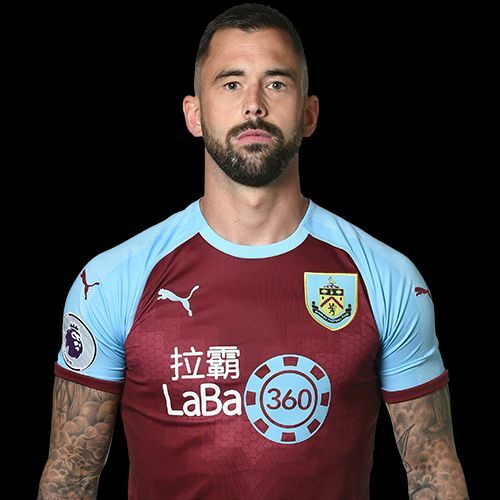 I’d expect such as Kevin Long and Dwight McNeil to get starts but the big news for Burnley fans is the potential to see Steven Defour back in action. He played virtually an hour last week in the under-23 game and has since featured in an in house game. Dyche has confirmed that he’ll be under consideration. Burton, meanwhile, won promotion just as we were moving back into the Premier League meaning we missed their two seasons in the top division of the Football League. The first of them saw them avoid relegation by one point but last season they were three points short of avoiding the drop. Four defeats in the first five games meant it wasn’t a good start back in League One but they’ve won two and drawn one of their last three to add to the League Cup wins, most notably against Aston Villa in the last round. They didn’t play last Saturday when their game was called off at Burton due to someone being taken seriously ill at the ground so it is ten days since they last played and that was their 2-1 home win against Sunderland. 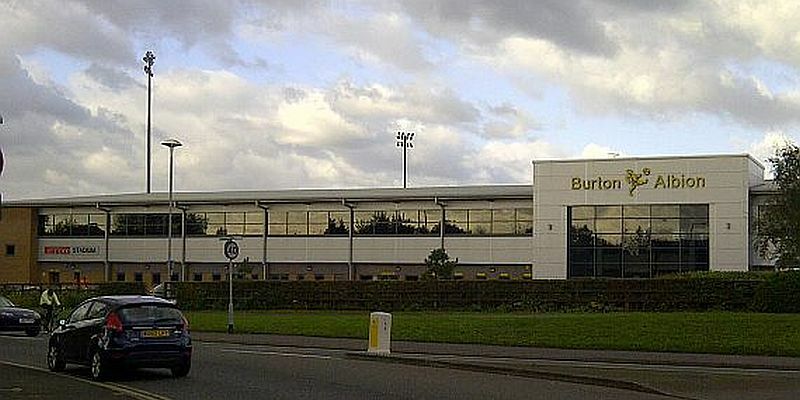 We’ve never played at Burton but they’ve twice been to Burnley, once in the FA Cup and once in the League Cup. We won both of them, the FA Cup tie first in 2010/11 in what was Eddie Howe’s first home game in charge of us, and in the following season we beat them in the 1st round of the League Cup. It was a long night too with plenty of goals. There was almost an hour gone when Jay Rodriguez opened the scoring from a penalty that shouldn’t have been given. He got a second, again from the penalty spot, to double the advantage before Cleveland Taylor pulled one back for Burton. Charlie Austin made it 3-2 with seven minutes to go and it looked as if we were through, but Calvin Zola pulled on back and when Lee Grant failed to hold on to a free kick in stoppage time it was all square with Jacques Maghoma converting. We added three more in extra time. Ross Wallace restored the lead before Jay Rod took his tally on the night to four to give us a 6-3 win. Burnley: Lee Grant, Kieran Trippier, Andre Amougou, Ben Mee, Danny Fox, Wade Elliott, Dean Marney (Marvin Bartley 45), Chris McCann, Ross Wallace, Charlie Austin (David Edgar 90), Jay Rodriguez (Wes Fletcher 108). Subs not used: Brian Jensen, Michael Duff, Brian Easton, Joe McKee. Burton: Ross Atkins, Tony James, Nathan Stanton, Aaron Webster, Andrew Corbett, Adam Bolder, Cleveland Taylor, Jacques Maghoma, Chris Palmer (Jimmy Phillips 81), Justin Richards (Adi Yussuf 62), Calvin Zola (John McGrath 103). Subs not used: Kevin Poole, Ryan Austin, Greg Pearson, Danny Blanchett.